While the new Galaxy S III is due to officially launch on May 3rd, Samsung has just announced what's set to be powering it, and things sound promising. 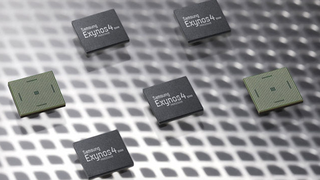 Based on the ARM Cortex A9, Samsung's new chip—which is called Exynos 4 Quad—will feature four cores all running at 1.4 GHz. It replaces, and will be entirely compatible with devices already using, the older Exynos 4 Dual, and uses 32 nanometer technology instead of the old'uns 45 nanometer innards. But, meh, enough of that—what can it actually do?